On top: "Islamic Resistance Movement: Kata'ib Ansar al-Madhhab." In center: the group's emblem. On left: Ayatollah Muhammad Muhammad Sadeq al-Sadr. 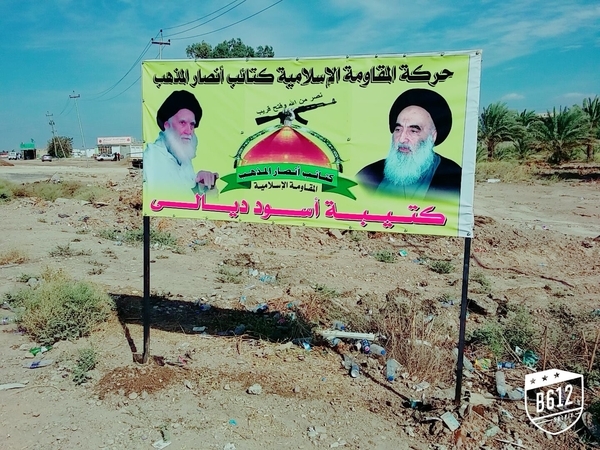 On right: Ayatollah Sistani. On bottom: "Lions of Diyala Battalion."